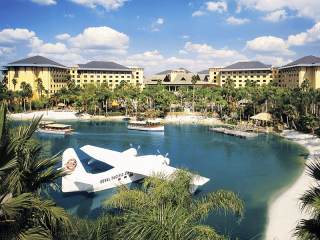 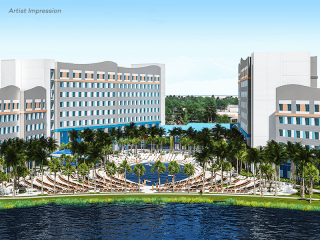 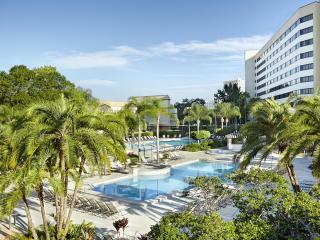 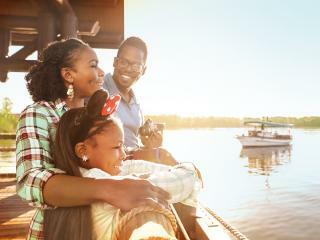 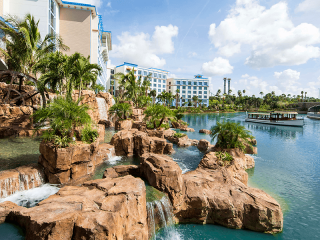 Soak up the sun on your Disney holiday at this fabulous resort paradise that celebrates the tranquil spirit and picturesque splendour of the South Seas islands. 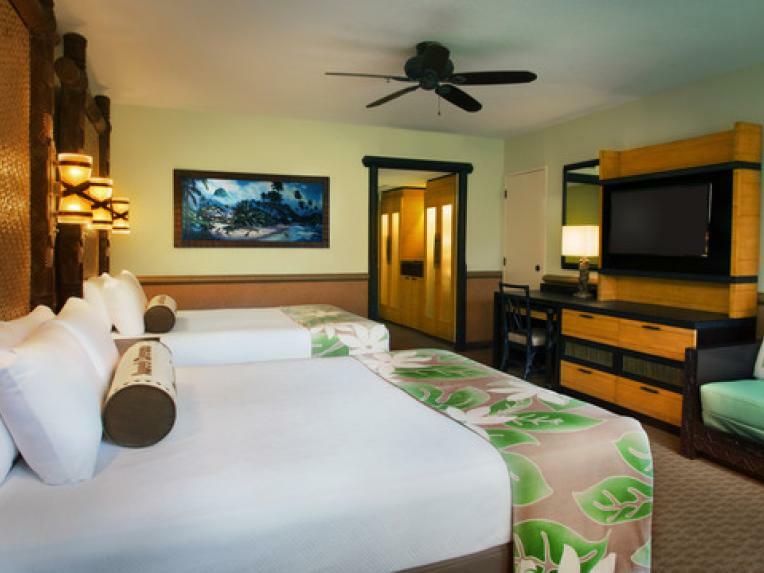 Enjoy South Pacific architecture, dense landscaping, banana trees and hibiscus and lookout for the native Hawaiian Kukai tree, the only one of its kind in Florida. 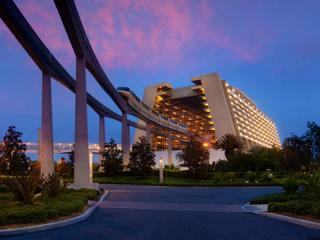 Step out of the lobby onto the monorail platform and be whisked off to Disney’s Magic Kingdom Park, simple as that! 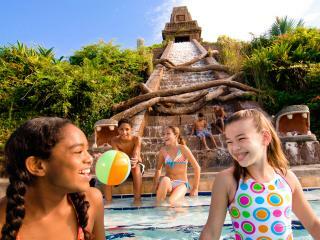 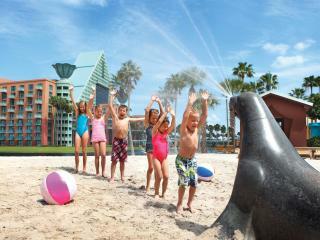 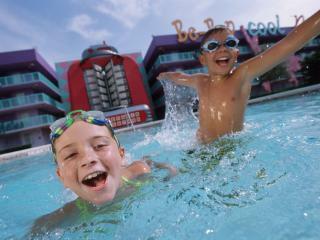 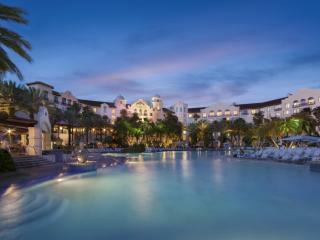 The pool is also a big hit, with its waterfalls, caves and slides, as is the stunning white sandy beach. 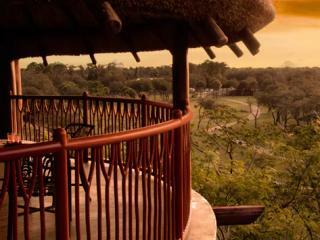 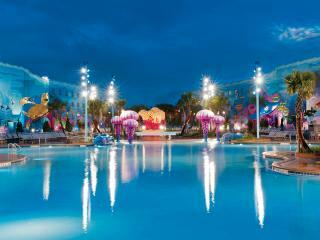 Unwind at the end of a busy park day watching your favourite Disney Movies Under the Stars. 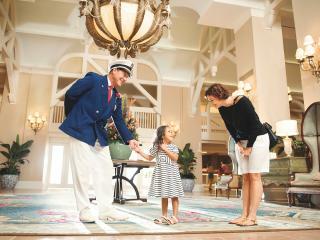 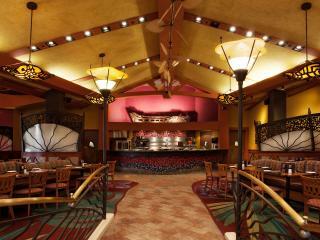 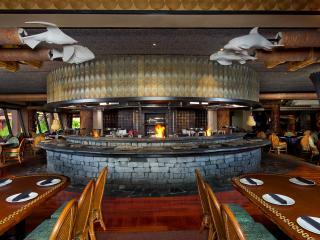 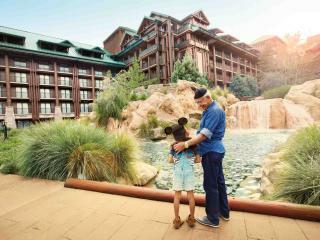 Don’t miss Disney’s Spirit of Aloha Dinner Show; an all-you-care-to-eat family-style South Seas feast. 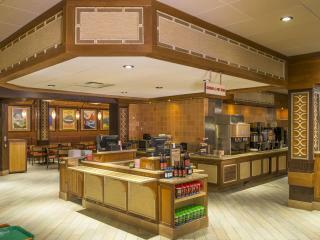 For breakfast, join Stitch and friends at ‘Ohana, and for dinner enjoy family favourites like pizza, hamburgers and flatbreads at Captain Cooks. 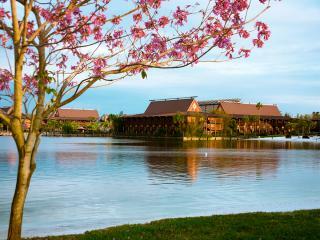 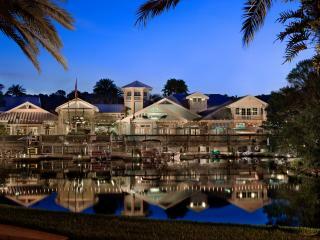 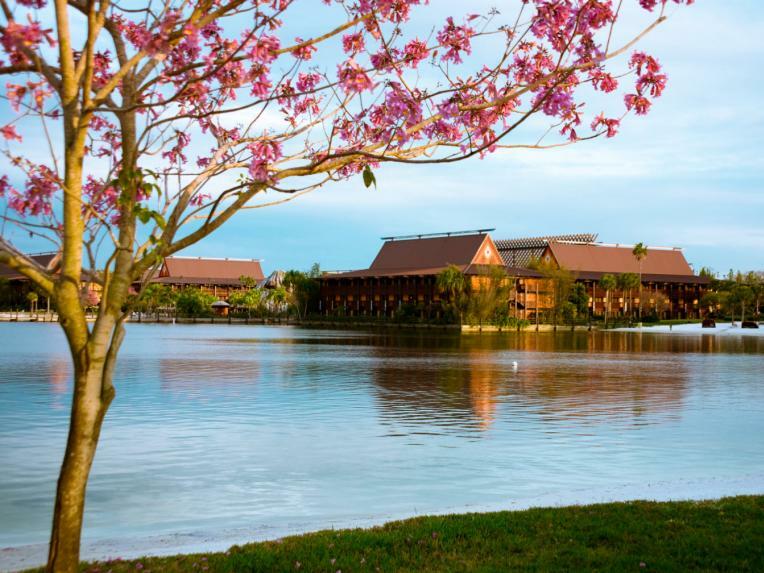 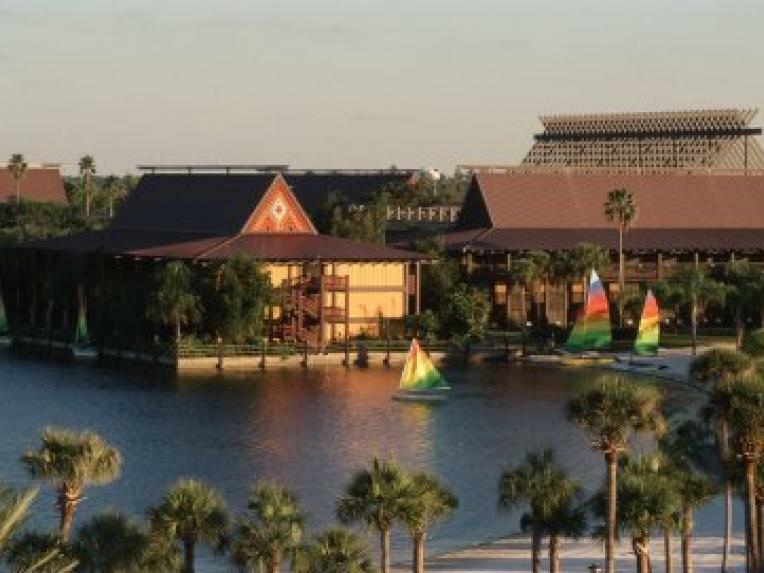 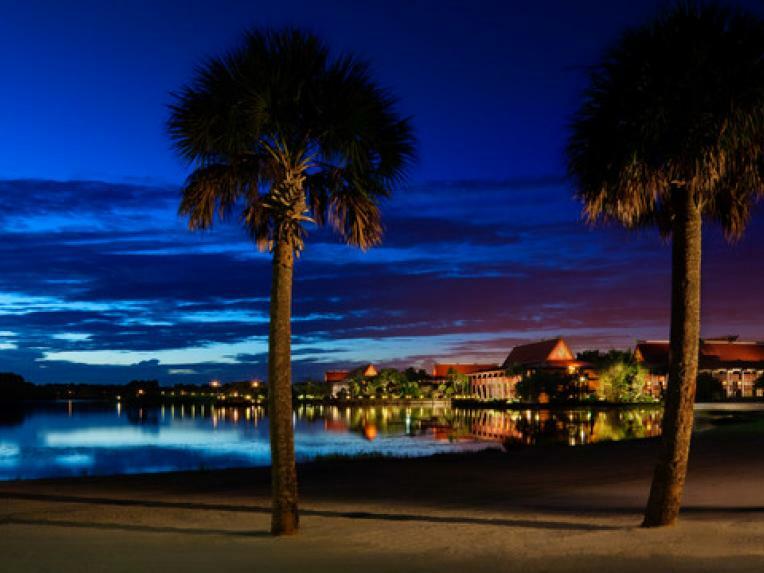 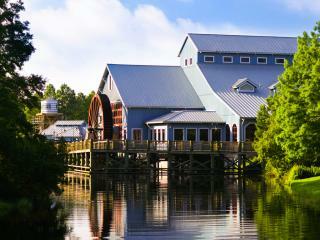 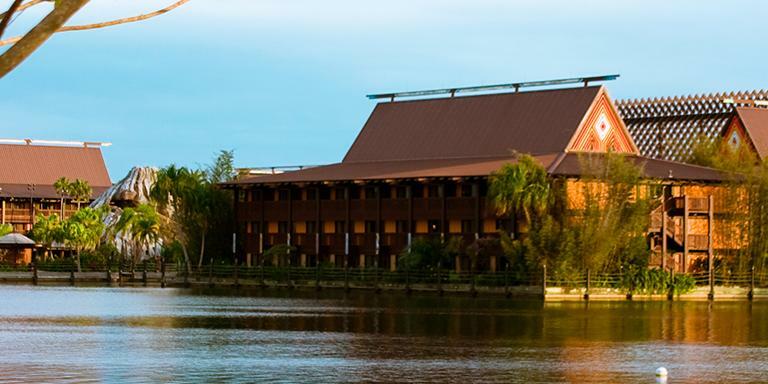 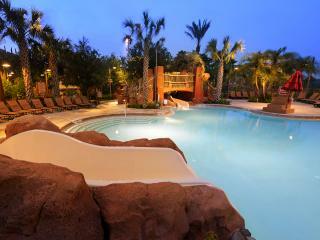 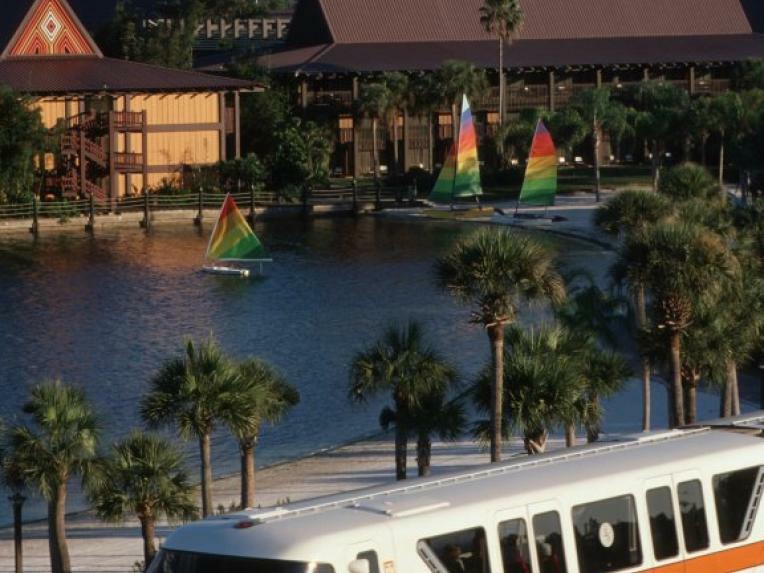 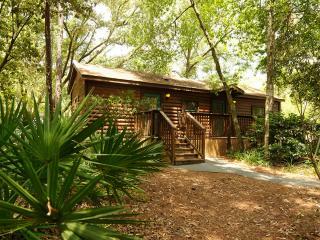 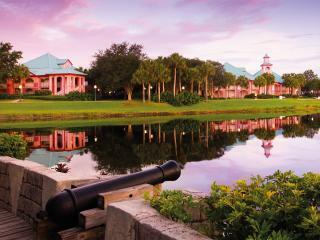 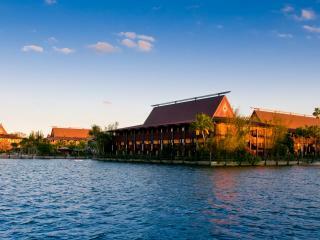 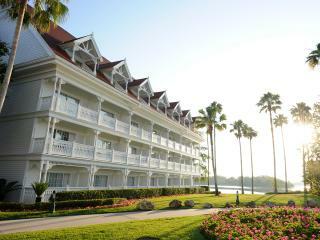 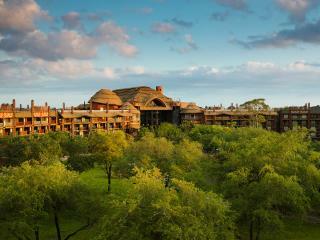 Disney’s Polynesian Village Resort is located in the Magic Kingdom Resort area. 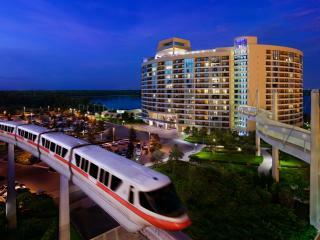 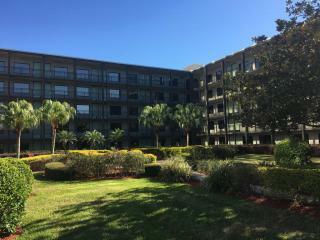 Magic Kingdom Park is the closest Walt Disney World Theme Park to this hotel and guests can use the regular monorail service to get them into Magic Kingdom in just 10 minutes. 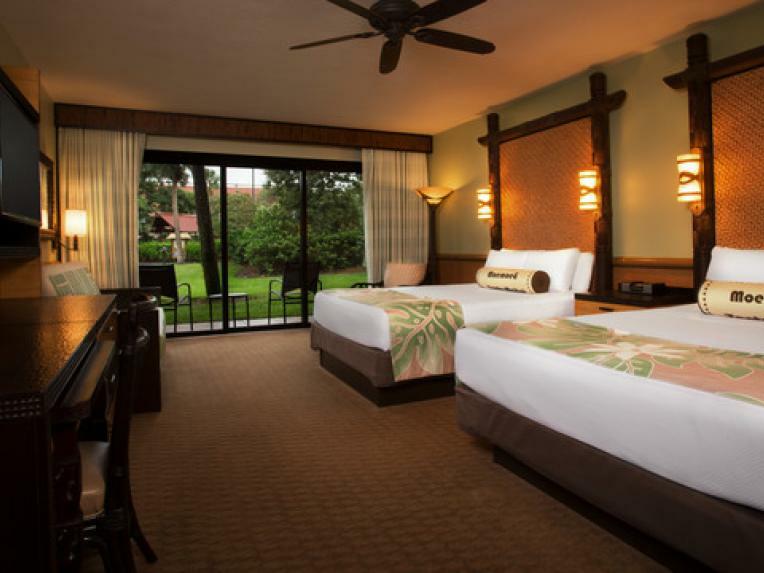 We love the relaxing feel of this resort, with the luau music playing in the background and the beautifully landscaped gardens, along with the fantastic volcano pool. 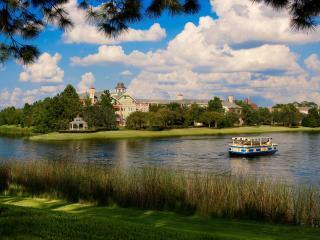 From the beach you have one of the best views of Magic Kingdom making it the perfect place to watch Disney’s famous fireworks. 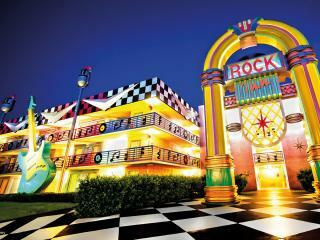 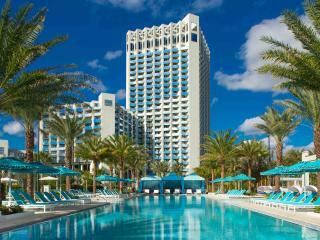 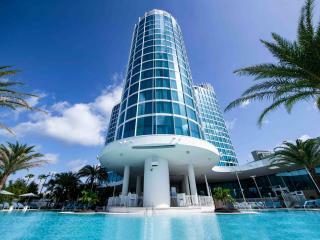 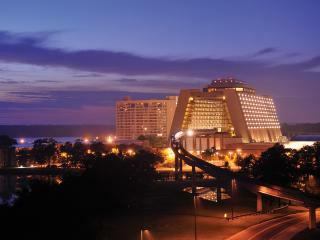 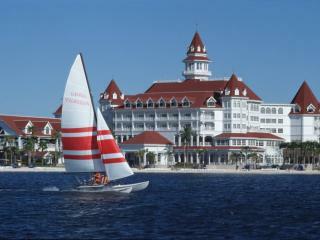 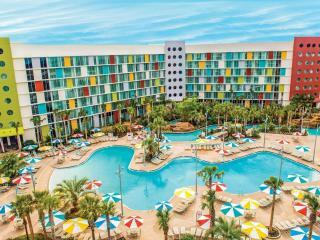 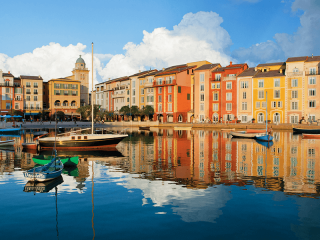 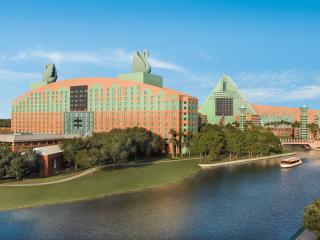 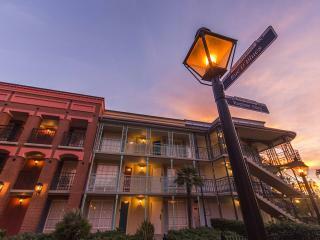 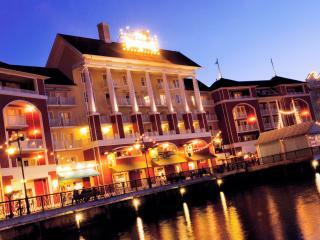 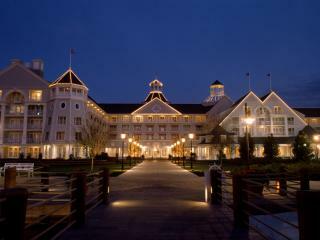 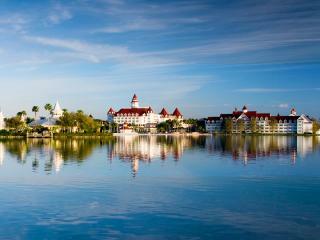 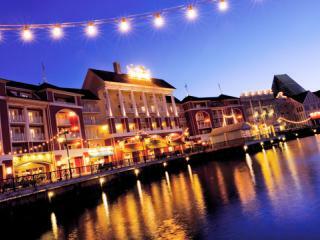 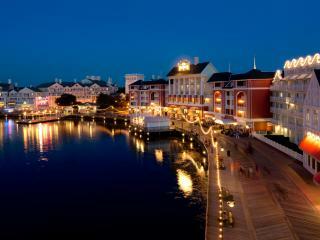 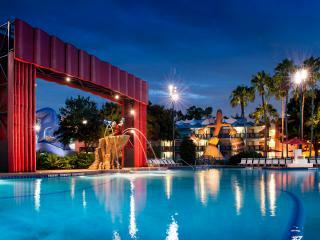 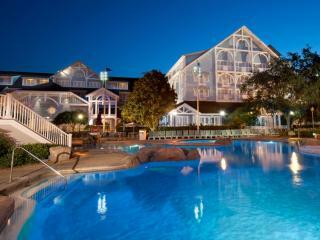 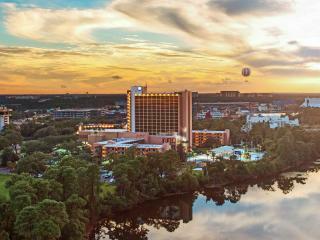 This hotel also has the best viewing experience of Disney’s Electric Water Pageant – not to be missed! 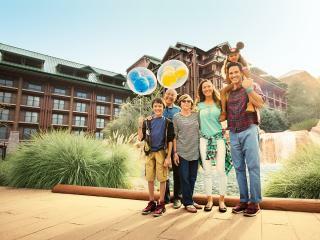 Don’t carry your souvenirs around the parks all day – buy them just before you leave. 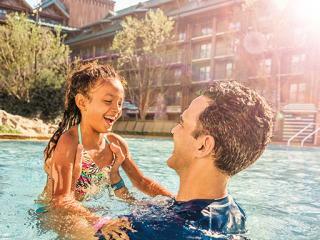 If you are staying at an on-site Disney Resort Hotel, you can use your Key to the World room key to charge purchases and have them delivered to you free of charge.